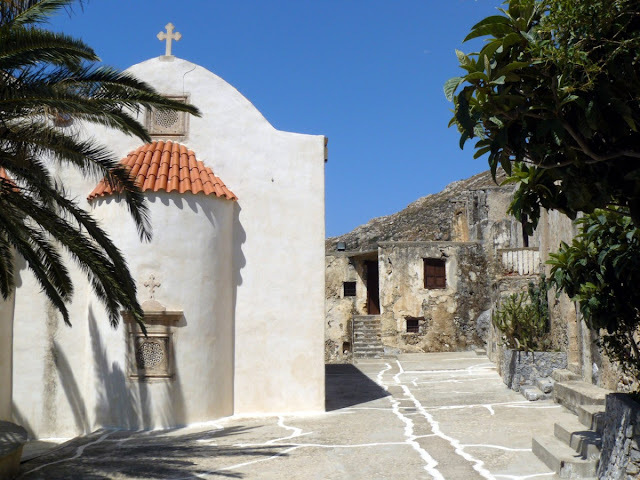 The ancient Preveli Monastery is a nice place to visit, in an idyllic position overlooking the sea with panoramic views and of course, one of the most visited places on the island. 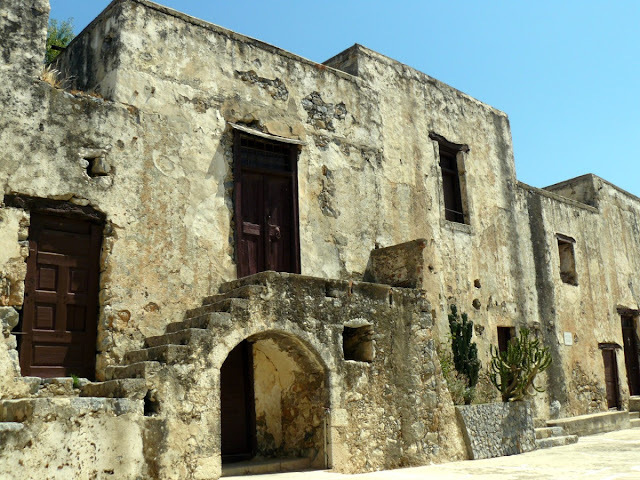 In this monastery have fled the Allies during the Second World War, which here are then able to escape from the island. 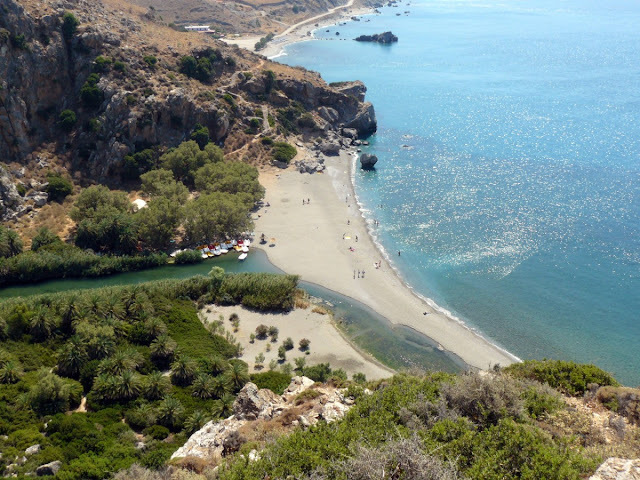 The Preveli beach, commonly known as Palm Beach, is one of the most beautiful beaches of Crete, but also one of the most hard to reach. From the junction of the road leading to the monastery, you will reach a parking fee, hence a path with steps down to the beach covering several meters in altitude: climb is really difficult and takes about 30 minutes. The sight that can be seen from the trail is spectacular: a beautiful crescent of sand is washed by a turquoise sea and transparent, while an attractive river surrounded by palm trees separates Palm Beach from an impressive gorge. You can go up the river for a few hundred meters and you can refresh yourself in its icy waters. The beach is free and without umbrellas. 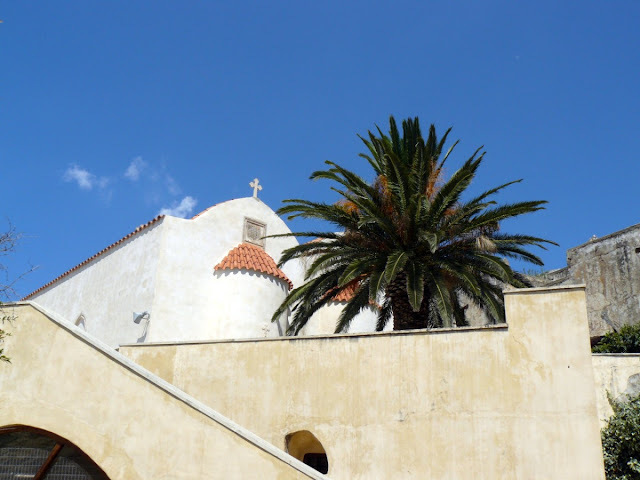 Travel Tips: the entrance to the monastery is a fee (€ 2.50) and allows you to visit a small museum with icons, paintings and relics, as well as a modern look to the Church flanked by old buildings, well preserved. Within the church and museum photography is prohibited. Given that the goal is frequented by tour buses, should arrive before 11. In addition to walking, the Palm Beach can be reached by boats that depart from Plakia , but you will come to the beach with many other tourists and when it is now already crowded.